<em>How to Train Your Dinosaur</em> will show thrice daily at the S.B. Zoo from Dec. 17-Jan. 1. As a special holiday treat, the S.B. Zoo (500 Niños Dr.) will expand its family-friendly show How to Train Your Dinosaur this week, offering three performances daily beginning this Saturday, December 17. 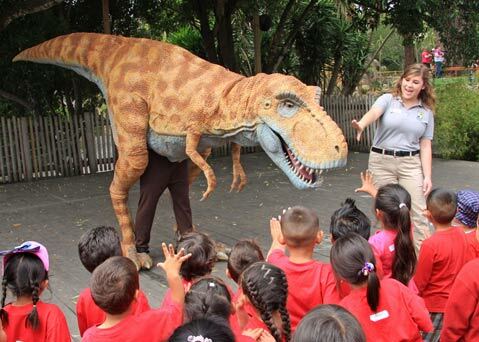 The popular interactive show stars Duncan the T. rex — a lifelike 7-foot-tall animated dinosaur that runs, roars, snorts, blinks, and poops as he educates and entertains audiences. The performances begin at 1, 2, and 3 p.m. daily through January 1, 2012 (no shows on December 24-25). Dinosaur is free with zoo admission and is appropriate for all ages. Call 962-5339.